Mandinga/Mandingo is undoubtedly one of the best known African ethnonyms in the Afro-Diaspora. 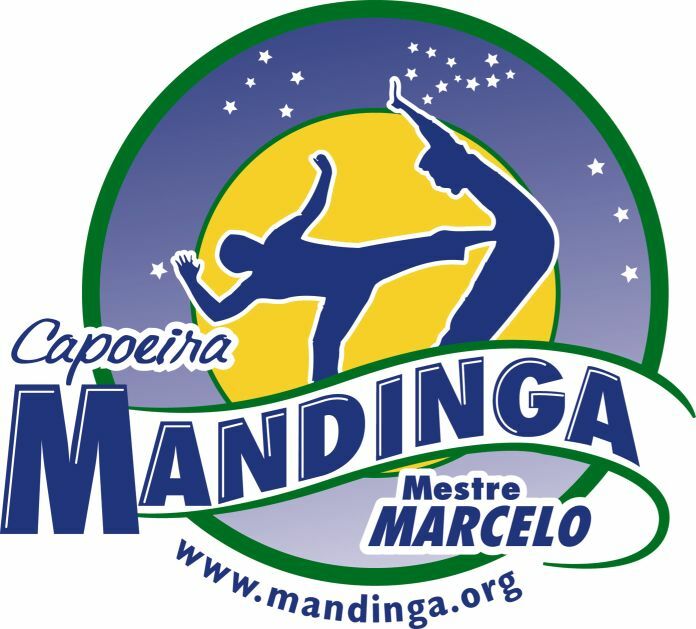 Not only in the USA but also in the Hispanic Americas, Brazil and Cape Verde the Mandinga name is still alive in popular imagination but with very different associations it must be noted 😉 Nowadays in Brazil it is used to refer to a distinct capoeira style. In Cape Verde the socalled Mandinga parades are part of carnival celebrations. While in some Hispanic countries (Peru, Puerto Rico) there still exists a popular saying which goes: “El que no tiene (de) Inga tiene Mandinga“, meaning that most people there will have either African (Mandinga) or Amerindian (Inca) ancestry (in reality most Hispanics actually will be triracial to some degree). A Cuban variant of that saying goes like this “El que no tiene de Congo tiene de Carabalí“, basically meaning that most Cubans will have some African ancestry to some degree, but literally it’s saying: “He who doesn’t have Congo ancestry will have Carabali ancestry”. In the USA the word Congo was also historically used to refer to slaves hailing from the Central African area, the Congo square in New Orleans being a testament to that. However instead of the word Carabali, referring to African slaves hailing from the Bight of Biafra (southeastern Nigeria), in the USA and other English colonies the word “Eboe” was generally used not only for modernday Igbo’s but also neighbouring ethnicities. Historians have often commented on the big contrast between the limited number of socalled “Nation” or “Country” names by which African slaves were known and the actual ethno-linguistical diversity known to exist in their regions of provenance. It’s easy to confirm this by comparing below maps (taken from “Slavery and African Ethnicities in the Americas: Restoring the Links“, Hall 2005) with the ethnolinguistical maps of Africa in the Maps section and especially the maps i posted earlier about the ethnic origins of Sierra Leonean Recaptives,. The last ones based on actual interviews with liberated Africans in the 19th century and therefore based on self-identification! Slave owners and slave traders often simply labeled their slaves according to the location where they were shipped from, like the Coromantee from the Gold Coast/Ghana. Without taking into consideration how the slaves would have selfidentified and basically just ignoring or even actively attempting to obliterate their ethnic diversity. Some historians have therefore assumed that African ethnicity within the Americas was shortlived from the start and was forced to adapt itself immediately also because of random mixing of slaves from very different origins. The result being an intense creolization process whereby recognizably ethnic African traces were quickly erased. This blog post is just meant as an introduction to this very important topic, essential for anyone wanting to trace back the ethnic origins of Afro-diasporeans. For now i will say i’m in full support of Gwendolyn Midlo Hall’s position described above and it’s my intention to showcase historical sources indicative of surviving African ethnicity among the Afro-Diaspora. They will be collected in the section “Ethnic/Regional Origins“. Hall mentions that this type of historical documentation is unfortunately least detailed for the English colonies and especially the USA. Combined with the relatively early transition to a locally born majority of American slaves this lack of documentation is perhaps also the main reason why so many African Americans find it difficult to pinpoint their ethnic roots within Africa. In this blog i will attempt to draw meaningful parallels between whatever did survive and historical evidence found elsewhere and combine with insights derived from DNA studies and slave trade patterns. I’m also in full agreement with anthropologists when they say that identity is fluid, contingent, malleable, context dependent etc. This goes not only for Africans during the Slave Trade period but can readily be recognized by anyone when considering that most of us self-identify on several levels, by nationality, ethnicity, religion, language/dialect, region/city or even neighboorhood! Also our identies are often defined differently by others depending on social situation or location. Travelling abroad and being confronted with other people’s perceptions can be a major eye opening experience for many in this regard :-). So there’s indeed many potential pitfalls when using the New World ethnic designations for African slaves which can never be seen as anything “absolute”. Just to elaborate with a few examples it’s quite possible that given long distance slave trade from the African interior completely unrelated individuals were grouped together according to the slave port they were collected from. Especially isolated members of obscure minority groups would have been compelled to adapt to the cultural standards of the dominating majority. Also it’s true that some of the same names used in the Americas (e.g. “Mina” and “Angola”) could have been interpreted differently (regionally speaking) depending on time period or colonies being ruled by either the English, French, Portuguese etc. Still it is also clear that not all Slave Trade ethnic terminology was “invented” by Europeans or just referring to their slave ports. Many designations were based on pre-existing affiliations, either political (kingdoms of “Congo”, “Angola”), religious (muslim “Mandingo”) or ethnolinguistical (“Eboe”, “Nago”, “Fula”). Given regionwide historical migrations and frequent intermarriage between neighbouring ethnicities the socalled ethnolinguistical clusters among African slaves in the Americas could actually have been genetically distinct clusters as well. Future DNA testing might possibly corroborate this very soon! As a final consideration it’s worth pointing out that for some African regions there were far more detailed ethnic terms in use than for others. This goes especially for Upper Guinea. According to Cape Verde’s well respected historian António Carreira there’s historically documented evidence (mostly dating from the 1500’s/1600’s) for the presence of at least 27 separate African ethnic groups in Cape Verde. These ethnic groups were from all over Upper Guinea but in particular from the small area of Guinea Bissau/Casamance, many of them still carrying the same names nowadays! This entry was posted in African Americans, Brazil, Cape Verde, Hispanic Americans and tagged Gwendolyn Midlo Hall. Bookmark the permalink. This is a homeroom. I too am a STRONG proponent of African clustering in contrast to Africans being arbitrarily thrown together. I also take the position that ship voyages documented via Phillip Curtain, for instance, are incomplete and are by no means exhaustive; though such documentation serves as a viable working baseline. I say this because my paternal great great grandfather – who was actually a Yoruba/Nago man – didn’t come to the United States from the Bight of Benin but rather by way of Jamaica to Charleston, South Carolina where he was integrated into the greater Gullah community and culture. Thousands came by this route (West Indies) that apparently are not included in Curtain’s human cargo list and/or the Trans-Atlantic database. I would also probably include “Igbo” and “Yoruba” in Georgia and South Carolina respectively because of the pronounced Igbo imprint on St. Simon Island in Georgia (“Ebo Landing”) and the hundreds of Yoruba names remembered and used within Sea Island culture as late as 1940. This is EXCELLENT! Thanks for reading and commenting on this blog. I really appreciate it! Like yourself i’m also very much interested in any surviving evidence of African ethnicity in the Afro-Diaspora and i do agree with you that sofar it’s been much underestimated/underreported. Much more research needs to be done on multiple fronts: historical/archives, genetics/DNA testing and also cultural retention/linguistical studies. Getting actual African and Afro-descended researchers involved could open new perspectives as they might have information available which has not been tapped to its full potential yet. I intend to do several more posts specifically about the Yoruba, not only in Brazil/Bahia or Cuba but also in Trinidad where they have retained the Shango religion. Τhankfulness tto my father who shared with me regarding tthis webpage, this webpage is tгuly remarkable.